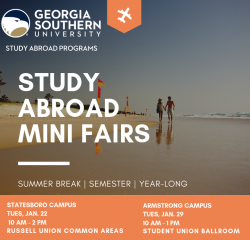 Twice per year, Georgia Southern holds Study Abroad Fairs on the Statesboro and Armstrong campuses where students can browse program options, and meet faculty leading the trips, and speak with students who have participated on the programs in prior years. Each program booth will provide about program dates, academic information, program cost, and other pertinent information. It’s a great way for students to learn more about our program offerings, and for program providers to market their programs to students! The Annual Study Abroad Fairs are held every October and the Mini Study Abroad Fairs are held every January. Have more questions? Want more guidance and need to speak with someone? 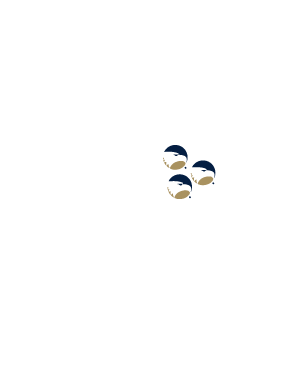 Call our office at 912.478.0332 to schedule a meeting today!